Home How To How To Run Multiple Whatsapp on Android? Running Multiple Whatsapp on Android is one of the frequently asked questions on the internet. Whatsapp is one of the most downloaded apps and #1 instant messaging app on the internet. This trick will not only work with WhatsApp but It can be done with any app which runs on your device. How to run multiple WhatsApp on Android Phone? How To Make User Account in Android Device? Facebook has acquired Whatsapp for $19 billion in 2014. Making it one of the biggest acquisition in the Tech industry. Whatsapp has more than 1 billion daily active users. India has the most number of users of Whatsapp with over 200 million active users, whereas the USA has 23 million users. There are many more amazing facts about WhatsApp which we will discuss later. Normally you can download and use only one WhatsApp at a time but using a few methods you can use more than one Whatsapp account. Using only one WhatsApp at a time limits users who have dual sim phone and do not want to share personal number to clients or customers. There are many ways to run multiple, so let’s start. None of the tools are paid all are free. In November 2014. Google announced Android 5 or lollipop which has many updates and with that, they have added multiple user accounts option. In this method, you need to make a new user in your mobile and in new user you have to download and install Whatsapp with another number. This method does not require any tool and with few clicks, you can navigate to both Whatsapp accounts. To make new user account in android device you need to go to Setting > System > Multiple User OR Setting > System > Advanced > Multiple User. In different android brands little change can be found in options names and layouts. The below images will be shown from One Plus 5. Next Step is Clicking New User a popup will appear to Click OK.
Now, After clicking it will as for setting up the new user you can click Setup Now. Proceed through setup enter your google email id and password (to access google play to Whatsapp). That’s All! you are done with creating a new user. Download Whatsapp from play store and make a new account with another number. Google Play store has some cloning apps on it. Some cloning apps are very famous and people are using it for many different reasons. Here we will use those apps to run multiple Whatsapp on android phone. There are many apps which can be used for this some are paid and some are free. 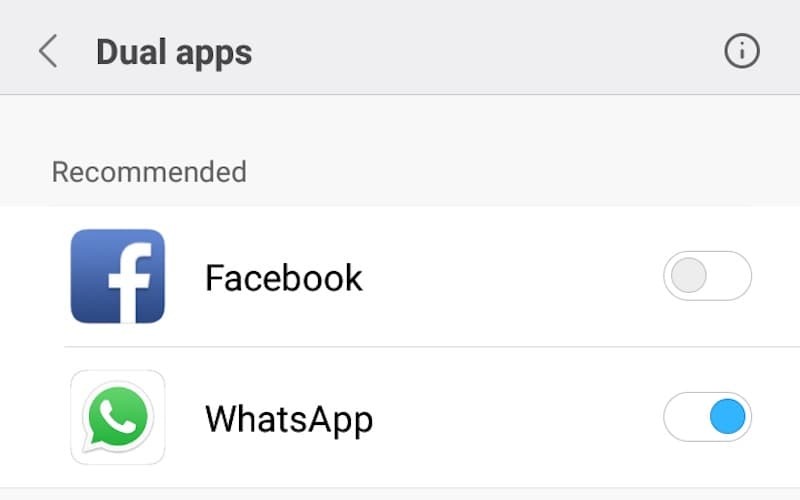 Using these apps we can use multiple Whatsapp simultaneously at the same time. Not only Whatsapp but we can use any app like Ola Uber Facebook etc. This tutorial is only for educational purpose we are not resposible for misusing facilities. PARALLEL SPACE -> This is a very common and popular app which is used for cloning. In this, it installs any app into itself making a whole new environment from your device. It works in sandbox mode which is not connected to your other files on the phone. APP CLONER -> This makes perfect copies in just a few clicks. You can create as many copies as you want with this and no additional software to run. You just have to create copies and start running. Dual Space – Multiple Accounts & App Cloner -> This app guarantees you to run Whatsapp without crashing it. It basically focuses on running apps. If you find it difficult running Dual space on your phone. If you are on low RAM on your phone then you can also download Dual Space Lite – Multiple Accounts & Clone App. This is Lite Version of Dual Space app which can be used for low slower phones. There are many more apps which can be found on google play store. But the above are the best apps you can use. If you are on Oppo, Vivo, Honor phones these brands provide cloning feature in there phones out of the box. With these, you do not need to download any app or tool. You just have to select an app to clone it. Download and install app which you want to clone. Choose Dual App / App Twin / Clone App option depending on your phone brand. You will see a list of an app which you can clone. toggle button from disable to active mode. This is all! The best way and the simplest way but this limits to if your brand supports this. But the limitation is you can only create one copy of Whatsapp. In Conclusion to this Cloning apps are easy but need some tools and efforts to be done. Downloading an app from untrusted sources can be very harmful so beware to download the apps from play store only. These are the best ways to clone Whatsapp if I forgot something or you know something which is not mentioned please comment down below to help others to learn and leave feedback you found this helpful. NextHow To Unzip Files On Android Phone?